Fall is here and that means football. It’s the perfect time to have friends over for the big game on a Monday night or Sunday afternoon. Sometimes you’re lucky enough to be there in person. (Go Ravens!) But what if you could bring the big game inside, and it was even better than being there? You can. Consider adding your own personal media room to your home, and your game nights (and movie nights too) will never be the same. This isn’t your parents’ basement, where you had the old television across the room from the washer and dryer. Forget rec room, think multimedia. A professional remodel of your existing space brings all the new technology to the forefront, without the jumble of wires and ragtag setups we tend to create when we don’t have a plan. Thoughtfully designed, your basement media room, or home theatre, can take advantage of lower light levels - the better to see the action on screen - and incorporate all the modern technology aspects to make the space a true multimedia escape. Couple that with easy-care floors, a place to store game-day provisions, and expansive seating for all, and you’ve got the perfect retreat for sporting events, movie nights and even some online gaming. Want a little more separation? Consider remodeling the attic over the garage to create a media room that is set apart from the main house. A quality contractor can help with design and execution. Separated from the house, this media room will have more of a destination quality, with expansive space and room to spread out even more. 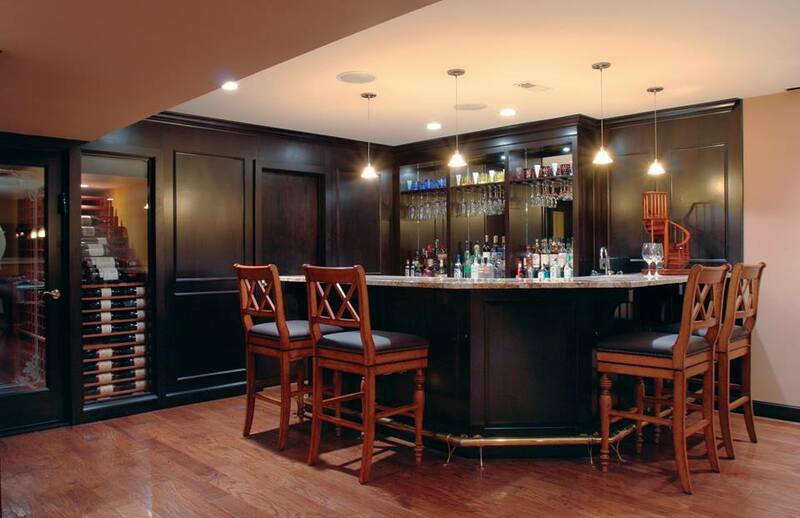 This location provides the perfect opportunity to consider adding a wet-bar area, or small kitchen and bathroom. Should you change your mind a few years down the road, good planning now could translate into a smart living space you could use for short-term rentals. Hello, Airbnb. If you’d like to add all new space in the form of a media room addition, contact a local remodeling contractor, and request an estimate. Share your needs, your budget and your timeline to get an accurate idea of cost. A skilled building contractor will be able to take your ideas and find the best way to implement them into a cohesive plan. Working together, you’ll be preparing for that up-close and personal football game before you know it. All in the comfort of your very own stadium.